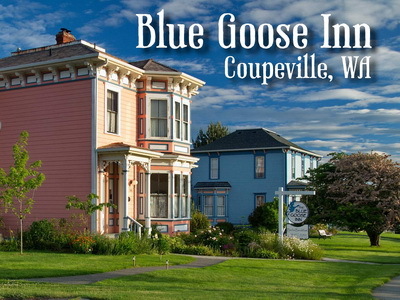 Centrally located on Whidbey Island, Coupeville is the perfect setting to enjoy art and history, hiking and beaches, culinary delights and gorgeous scenery. This quiet waterfront farming community is the heart of Ebey’s Landing National Historical Reserve and as such, still reflects the character of a frontier seaport when Puget Sound was being settled. Beyond its historical significance, Coupeville and Whidbey Island offer a combination of geography, flora and fauna that lift spirits and fill the heart. Throughout Ebey’s Reserve, from the Madrona Way shoreline of Penn Cove to the beach and bluff at Ebey’s Landing, you’ll share space with farmers and bald eagles, gray whales and bicyclists, sea otters and kayakers. Coupeville is a magnet for artists of all kinds; visual, performing and culinary. Visual artists in many mediums find inspiration in the shorelines, forests, prairies and waters of central Whidbey Island, as well as in the structures and spirit of the town itself. Many are attracted to hone their talents at the Pacific Northwest Art School, or the Weaving School, or at many of the local festivals. Coupeville is also the hub of the Whidbey Art Trail, and the Spring and Summer Artist Studio Tours showcasing Whidbey’s finest artists and craftspeople. Culinary art is manifested in a range of dining opportunities. The coffee shops, cafes and restaurants are all filled with individuality and creativity that attract Whidbey Island residents as well as visitors. Professional, retired and talented amateur musicians (and visiting performers) contribute to the lively Concerts in the Park series throughout the year. You might find them at the band shell in Coupeville’s Town Park, singing in the streets or adding auditory dimension to an art show at the Coupeville Recreation Hall.